As with many aspects in the overall planning of a wedding, the music and entertainment should be programmed as soon as practically possible. With the date set and the venue(s) confirmed, the guestlist shaping up and a clear plan evolving for the day as a whole, the earlier you begin plotting in the music for both the ceremony and the reception party, the more likely you will be able to source the ideal musicians for your celebration. 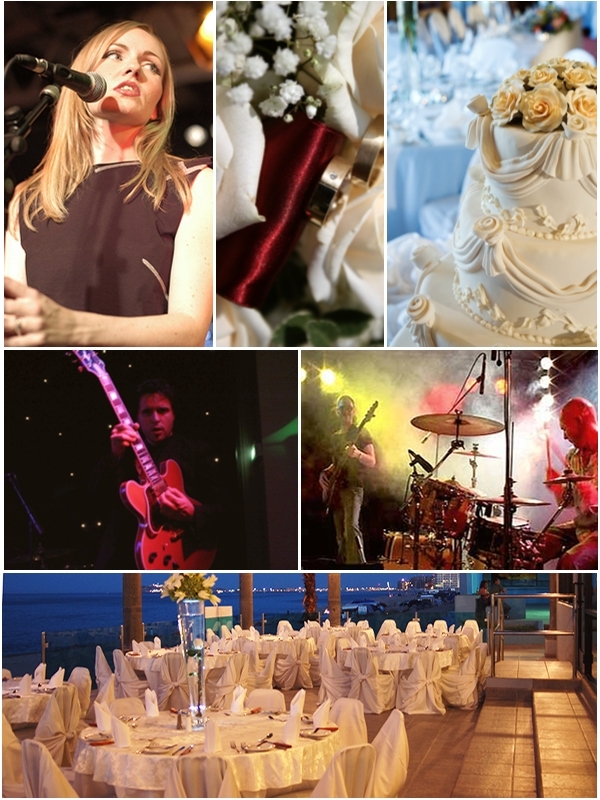 Find out more about booking a live band for your wedding reception. There’s a kaleidoscopic range of different musical styles suitable for wedding entertainment – the problem is, choosing which will best match your particular style of celebration. Swing Jazz, Irish, Ceilidh or Barndance, Steel Band, Salsa or Samba, Klezmer or perhaps a Pop Covers Band – the list goes on. You will probably want to choose a style of music that you and your partner personally enjoy, but remember to consider the inevitably varied musical tastes of your guests as well as the general atmospheric and entertainment aspects of the planned celebration party. Listen to music from different genres and weigh up the potential popularity of each before deciding which style(s) to investigate further. If you haven’t planned this already, now is the time to think the whole evening through in detail. What time will the party actually begin? Allow plenty of time for speeches, photographs etc to over-run, as at most weddings this is almost invariably the case. What time will the party finish (for the majority of your guests, that is), and will there need to be a disco at the end for the absolute diehards? Are you planning an evening buffet? Will you want to cut the cake or toss the bouquet as focal points during the party? Develop a rough overall timeline including these and other considerations before plotting them in around the main live musical entertainment. Especially on popular dates like Saturdays in mid-summer, the best wedding musicians will tend to be snapped up well in advance, so you would be well-advised to get in early in order to secure their services. As soon as you have decided what style of entertainment you want, get out there and find the perfect band. Even if you are planning your wedding outside of these most popular seasons – in winter, for example, or midweek – it’s still a good idea to have everything arranged as far in advance as is practical, so you have plenty of time in which to plan the evening’s festivities in greater detail. Allow plenty of time to thoroughly research the available musicians, preferably in your local area. You should perhaps aim to make preliminary enquiries about the availability of shortlisted bands nine months to a year before your wedding, to be followed up by a confirmed booking soon afterwards when you have made your final choice. If you leave it much later than this, you run the risk of disappointment as all the best bands will already be booked. Researching and sourcing live musical entertainment can be an exhaustive and time-consuming process. There are so many different options out there, making the right choice on instinct alone is a quite dizzying prospect. Unless you are very sure not only of what you want but also of how and where to look, it may be a good idea to take professional advice from a specialist music agency. They are best placed to help you through any uncertainties regarding musical style or sourcing procedures, and will have a wide range of possibilities to offer in respect of your particular needs. When planning your wedding celebration, start thinking about the live musical entertainment as soon as you’ve set the date. It takes longer than you might think to research all the available options, whittle them down to a preferred genre of music and then seek out the best musicians of that style in your area. So allow plenty of time in order to achieve the best result, and confirm your booking as early as possible. Then you can look forward to an exciting wedding party! Ceilidh, Ceili or Barndance – what’s the difference?